Indulge in a unique combination of luxury and convenience at Camberley Club, a gated and maintenance-free townhome community in the north suburb of Lincolnshire. Enjoy walking distance from shopping and dining at Lincolnshire Commons as well as employment opportunities at the Lincolnshire Corporate Center. Each distinctive townhome includes flexible space designed for everyday living as well as layouts perfect for entertaining. The life you want to live is waiting for you at Camberley Club. Explore this community and see for yourself. The spacious Hawthorn offers a first floor den, large sitting room in the Owner's Suite and a second floor loft for additional living space. The Stanton 2 boasts a large Owner’s Suite with oversized walk-in closet as well as a second floor loft. The two-story Fairfax features an open kitchen connected to the dining area, a spacious living room, and three bedrooms. The versatile Hawthorn 4 offers a dual Owner’s Suite layout as well as an eat-in kitchen, open gathering room and loft. Camberley Club residents enjoy an escape from the hustle and bustle of daily life. 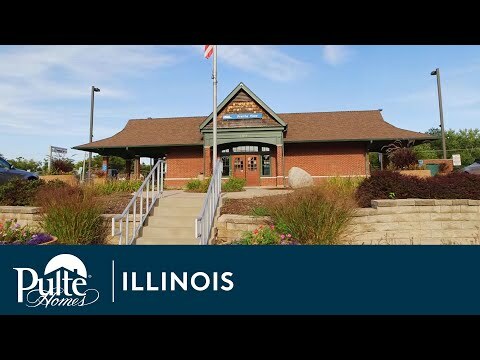 Walk to the Des Plaines River Trail which connects to the Half Day Forest Preserve, with picnic shelters, pond fishing, and viewing areas. Or spend a day on the green at Crane’s Landing Golf Club, less than a mile away. Located in Lincolnshire, Camberley Club offers a walkable lifestyle, with Lincolnshire Commons' shopping and dining down the street, including Kona Grill, Fleming’s Steakhouse and White House Black Market. Discover employment opportunities just across Milwaukee Avenue at the Lincolnshire Corporate Center, a 330-acre development that employs more than 10,000 people across 30 buildings. Stay active within 1 mile of the community at the Half Day Forest Preserve and Crane’s Landing Golf Club. Limited homesites remain at Camberley Club. Don't miss your chance to own a new, low-maintenance luxury townhome with the finishes and upgrades you desire.